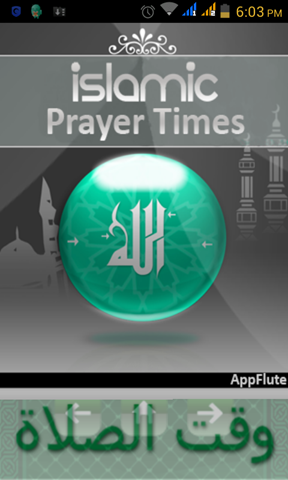 Islamic Prayer Times is an Android app for keeping track of prayer times. The app works worldwide. You just have to set your location (once) after installing it. After that it shows you prayer times of that location. 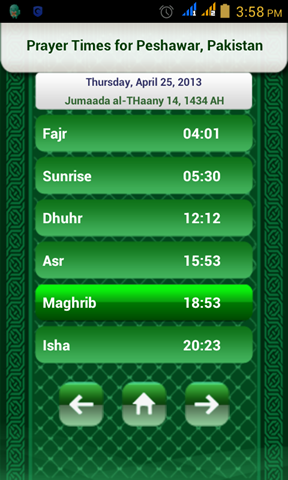 You can also set alarms to ring before prayer times. The app also has a built-in Qibla direction indicator. It has been developed by AppFlute to work with Android devices running version 1.5 and up. To download the app click here. Thank you I will check it out soon.